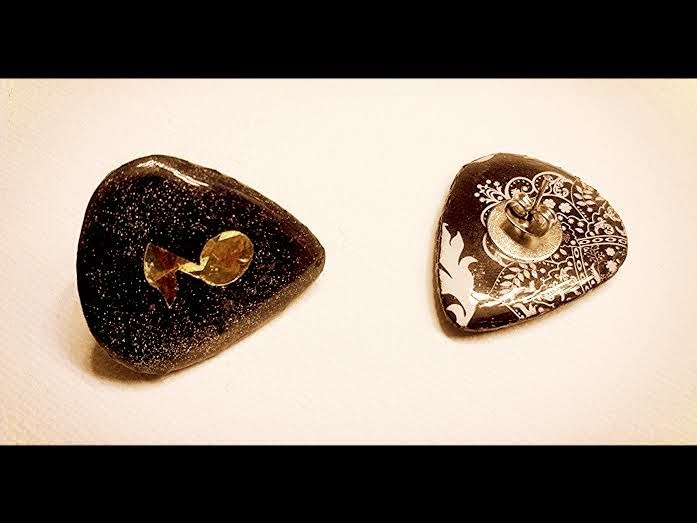 Guitar pick earrings for guys! Stud guitar pick earrings with a black double sided guitar pick pendant. Front features black with holographic glitter and a gold music note. The back has an elaborate black and white design. They are light weight, and look great on dudes who like to wear earrings! These earrings were painted with Indie Polish's holographic top coat! I am now making stud guitar pick earrings for guys! If you are interested in a custom pair, contact me!